To gain better insight on Saskatchewan’s impaired driving problem, Saskatchewan Government Insurance (SGI) is conducting a study – and it needs a partner company. At present, the insurer relies on data collected from local police, the coroner’s office and the semi-annual traffic safety monitor survey. However, SGI wants a more accurate way to determine how many drivers are under the influence. 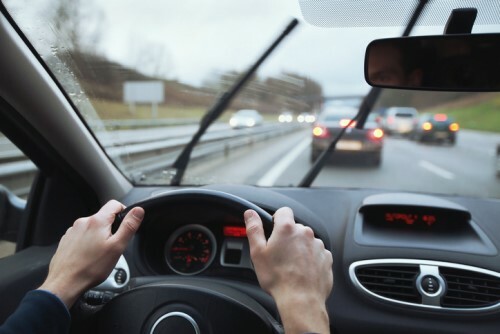 “Although these data sources provide valuable data for profiling alcohol and drug use while driving, they have limitations that make the identification of real-world use of drugs and alcohol by all drivers very difficult,” a request proposal from the insurer read. To that end, SGI is looking to hire a research team that would conduct a voluntary and anonymous roadside survey to paint a more accurate picture of drug and alcohol use among drivers in the province. SGI is looking for an organization capable of offering a “valid estimate” of the number of drivers driving under the influence on the road, both during the day and night. The insurer also needs a group that can identify the types of drugs drivers are using, as well as discover the characteristics of people who use drugs or alcohol prior to getting behind the wheel. According to the insurer’s request, drivers who participate in the survey would voluntarily submit breathalyzer samples and oral fluid samples – to be tested for drugs or alcohol. Participants will also be asked to fill out a questionnaire. Police officers will assist the research group, but only in a traffic safety role – not to charge drivers participating in the survey. SGI expects the contracted research group to collect samples from between 1,500 and 2,000 participants. The data collection process for the survey is expected to start June 2019, and end in September 2019, SGI’s proposals read. The final report will be submitted by November 29, 2019. SGI vice-president of traffic safety, driver and support services Kwei Quaye told CBC News that the insurer will not engage in any public awareness campaigns about the survey, nor will the insurer reveal where the surveys will be conducted. “It’s a random roadside survey, and we want to get people [in] the normal state, as it were,” Quaye explained.